Desired neighborhood with great amenities including Pool, Hockey Rink, Sand Volleyball, and 2 private catch and release ponds. Home has new paint and carpet throughout. Custom in-ground pool. 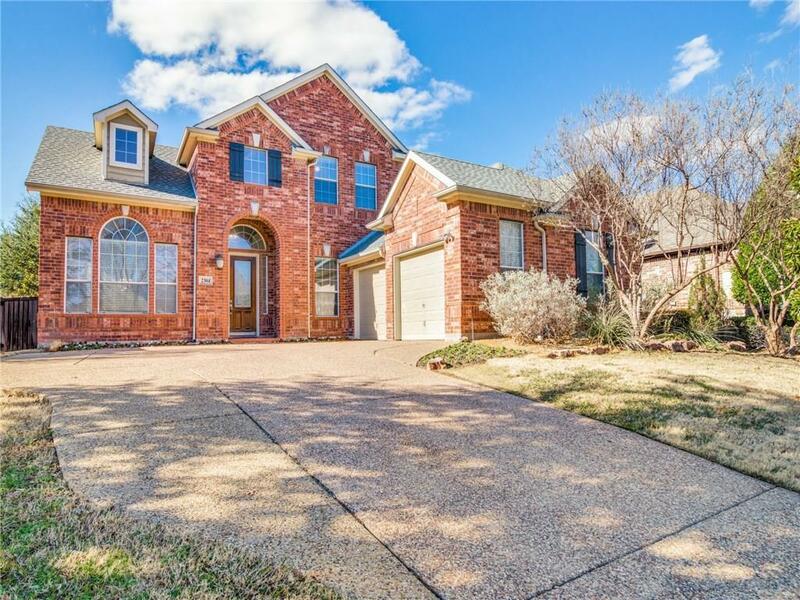 Open floor plan with 3 large living areas, 4 bedrooms, office, 2 dining rooms, and an office. The kitchen has slate looking flooring with granite countertops. Large custom pool with water feature. Backyard has extra room for pets and expanded seating area. Large stone fireplace with built in gas logs and starter. Huge master bedroom closet that will hold a lot of clothes. Oversized utility room that will allow for a refrigerator as well as full size washer and dryer. Huge upstairs gameroom that looks downstairs.